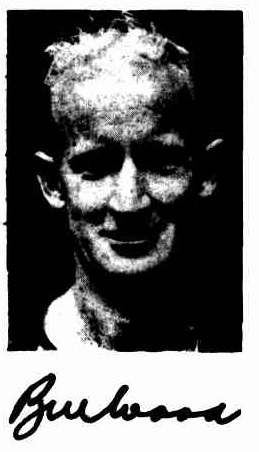 BILL WOOD, of Footscray, was probably the best full forward in the League in early 1947, and would have been chosen for the carnival team that later played ¡n Hobart. A few weeks before the team was to be chosen, however he suffered a severe thigh injury. The State selectors gave him a thorough test but he did not stand up to it. 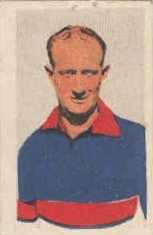 It was through the influence of Harry Hickey, a great player, that Bill came to Footscray. These two, with Bill Morns (Richmond), Nor- man Webb, and others of note played in the same army team-and it was a pretty good team, too. Altogether he has played in 87 games, and has kicked 235 goals. He had a run of the "outs" last season so far as goal-kicking was concerned, and was placed in the centre. He played excellently there, but was again in front of goal before the end of the season.